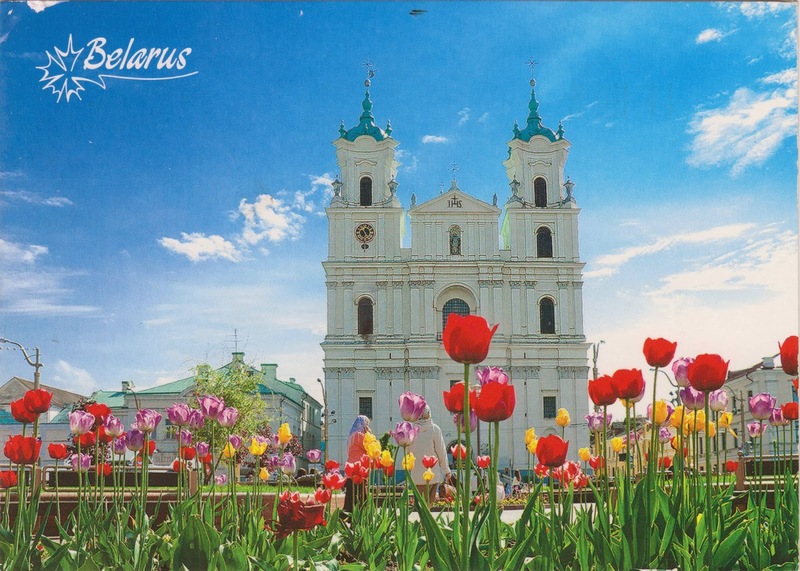 Postcard BY-1136358 from Belarus shows the Holy Spirit Cathedral, the central cathedral of the Belarusian Orthodox Church, in Minsk, Belarus. The Cathedral dates back to 1633-1642 when the city was in the Polish–Lithuanian Commonwealth. It suffered fire damages in 1741 and was reconstructed afterwards. Among the various images of saints inside the Cathedral, the Theotokos icon of Virgin Mary, "Mother of God", has been believed as miraculous with tears of diamonds to help people in poverty.